Remember when you bought a marvellous new XYZ (insert brand of formerly beloved phone/hi-fi/computer/camera/food mixer) and you loved it and it, in return, furnished you with joy and fulfilment during all your formative years but then, after a while, you realised that you must have had it for a while now and it must therefore be time to get a new one so you subscribed to WHICH? Magazine and saved up and lowered the thermostat and sacrificed trips to St Lucia and eventually bought a brand, spanking new XYZ and bid farewell to your trusty old XYZ that had served you so well but then after a while you found you were having to block out persistently recurring thoughts that the new XYZ actually felt a bit plasticky and what it produced, although on the surface smarter and more gleaming, was a bit, well, soulless but you couldn’t be wrong because you’d invested a lot of time and shivering and money in its acquisition so, rather than dig out your old XYZ (which, in any case, you’d hawked for 20p on eBay to some child in Hartlepool), you went through the whole cycle of subscription and thermostat lowering and sacrifice again so that you could buy XYZ 3.0 and this, as you kind of knew it would be all along, was even smarter and even more gleaming and even more soulless than both of its predecessors and then, after repeating this cycle so many times that actually you forgot where it all started in the first place, you suddenly found that people were buying your original XYZ for VAST amounts of cash from specialist, chi-chi boutiques in Shoreditch because these, let’s be frank, upstarts weren’t burdened with pride and had no problem saying that the original XYZs were much better than the rubbish you ended up with but you couldn’t make a similar admission because you would have looked really silly having spent all that time not having gone on holidays you could perfectly well have gone on and being cold only now you felt aggrieved because the original XYZ, which should rightfully have been yours because you had known about its wonders all along, was being used by someone else who had never read all the manuals like you did and now they’re employing it for inferior purposes and you’re stuck with your stupid XYZ 4.3 with built-in 5G Wi-Fi and a processor made out of rat’s DNA which can communicate with Neptune but from which you produce stuff that bears an uncomfortable resemblance to the stuff that Aunt Fanny produces on it and she struggles with the Nespresso machine on a good day? Well, that’s you and classical music. My friends at Slutcracker introduced me to Beck’s Song Reader last month when they and fellow members of the Boston performing arts community (“…from garage rock to 50-person choir, from modern dance to kabuki to clowning…”) staged the complete book at their home at the Somerville Theatre. It’s not so much the fact that the publication of a book of sheet music has led to a fully-staged production at a major US theatre within two months of its release that I find so astonishing (although I do), but rather it’s the wealth of original, creative and beautiful performances, recordings and films that it has been fomenting across the world since it was released in December that makes me think we might all be missing a trick here. It is one of the most creative acts of music publishing I have come across. ...one of the most creative acts of music publishing I have come across. 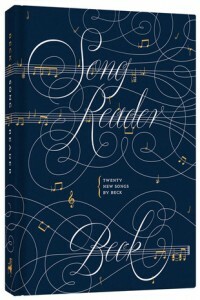 The Song Reader comprises twenty new songs written by Beck and a quick search on YouTube for any one of the titles (I’ve included a selection of each below) returns dozens upon dozens of interpretations. Sure, some of them are the approximate equivalent of me screeching through Dichterliebe, as I occasionally enjoy doing after a heavy lunch, but there are also many, many beautiful performances, arrangements and orchestrations and this is even before you begin to consider some of the really wonderful film making this book has inspired. What is clear is that, in the couple of months since its publication, the Song Reader has begun to create a repertoire and that by not releasing his own recording of the songs (which would inevitably have been viewed as the “authoritative” version), Beck has ensured that all these performances are not seen as mere cover versions but as the principal created product. 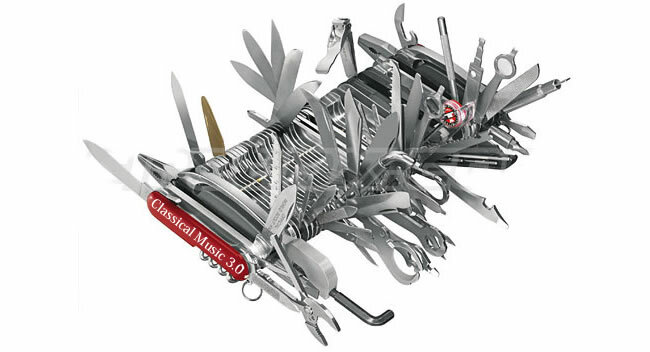 It’s a perfect collusion between composer, publisher and performers. Could Beck have made more money by recording the songs himself and flogging his album on iTunes? Probably. In the short run, at least. In the age of social networking, however, he’s doing what so few of us seem to be able to do successfully these days; he’s producing commercial music as a social activity and in the long run my guess is that it’ll return far greater dividends (financial or otherwise) than a conventional release would have done. At our worst, we work in a sort of defence industry; we defend our copyrights, we defend our world premieres so that the value of those works (like gleaming new cars) plummets the instant they hit the road, we defend from pesky interlopers those pieces of music that were “written for me”, we defend ourselves from others who might have the effrontery to be engaged very loosely in the same sphere of activity as ourselves. All of which is a roundabout way of saying: it does no harm to remind ourselves occasionally of what the rest of the world tends to take for granted: the music industry isn’t music. I can’t think of a better place to rediscover this than Beck’s Song Reader. The songs may not be ones with which you might normally heap high your musical trough (although I happen to think they’re beautiful) but, as an example of how to engender a spot of social music making and seed some repertoire, I think we should all doff our collective cap and remind ourselves (possibly wistfully)…that we used to do this sort of thing once. You’re so correct. When that Boston Art Community performed the Beck number written for voice and ukulele, the arrangement included full strings, horns, drums, guitar, voice and the 50 voices of the choir. It was amazing! Incidentally, I’ve had my first carpenter’s hammer for more than 40 years. Of course I’ve had to replace the hickory handle many times, and I have to admit I did change the steel hammer/claw part a few times, but it still works as well as it did when I bought it.